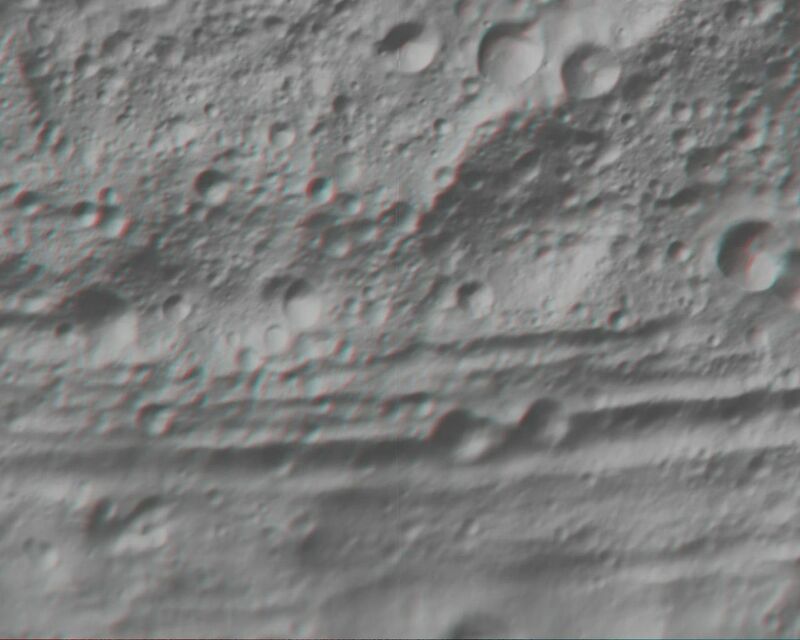 This anaglyph image shows the topography of part of Vesta's equatorial region. When viewed correctly this image shows a 3D view of Vesta's surface. This effect was achieved by superimposing two differently colored images with an offset to create depth. To view this image in 3D use red-green, or red-blue, glasses (left eye: red; right eye: green/blue). 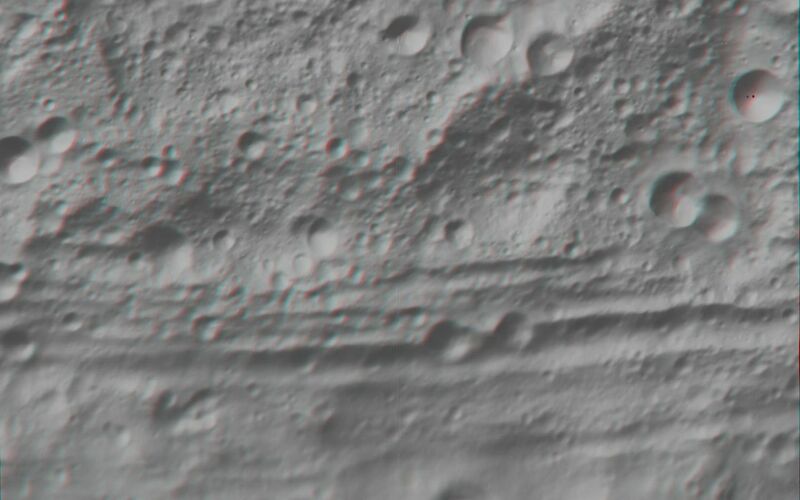 The depth effect/topography differences in this image were calculated from the shape model of Vesta. 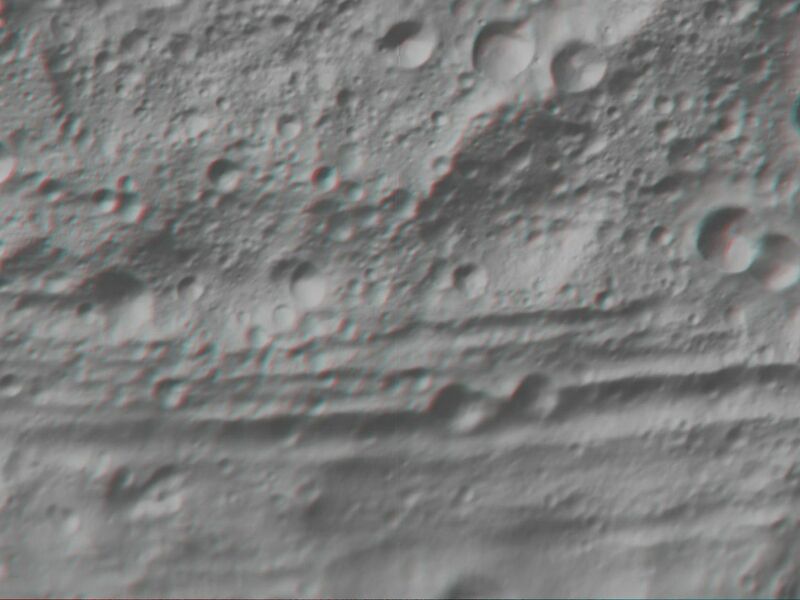 Vesta's prominent equatorial troughs are clearly seen running horizontally across this image. The origin of these troughs and the possibility that they are related to the formation of the south polar basin are currently under investigation. Also seen in this 3D image are the remnants of old, large impact craters/basins. These craters are classed as ruin eroded craters and are most clear in the center of the image, above the troughs. The image has a resolution of about 300 meters per pixel.